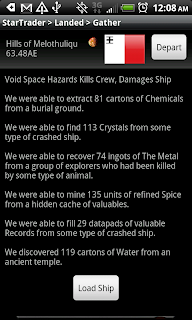 In an effort to streamline the play and remove repetitious player tasks in mid-game and late-game Star Traders 4X, we have developed an additional type of upgrade. These upgrades are called Focuses and replace some Festivals in the tech tree. 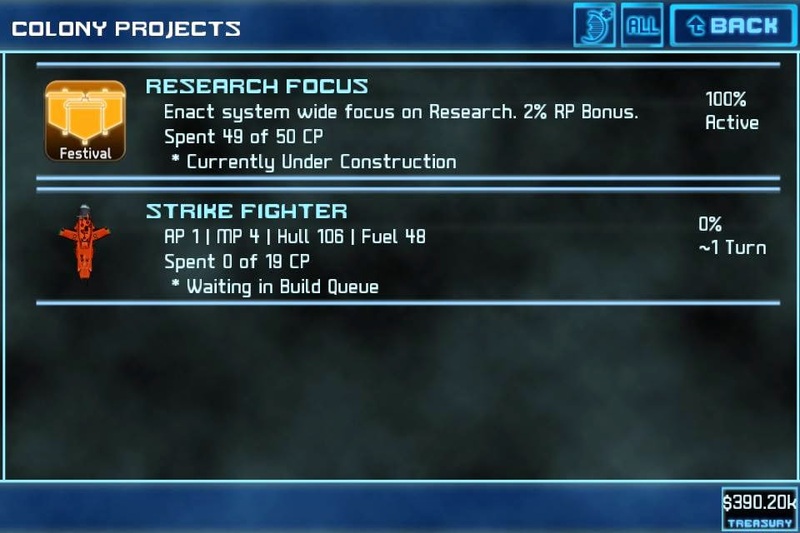 The Focus is a special Colony Upgrade module that converts CP into bonuses for your Empire. While active, a Focus will consume a single Colony's CP points. 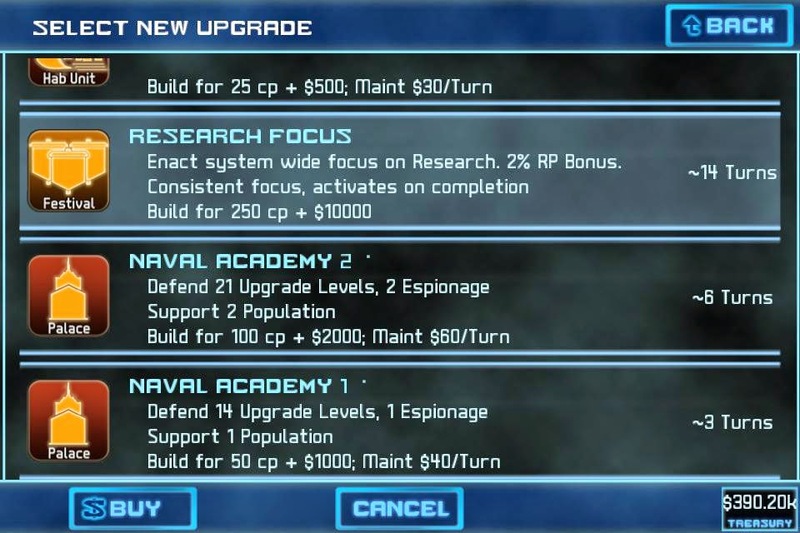 The Colony is free to move other upgrades ahead of the Focus, however the bonuses will not be available while the Colony works on other projects. 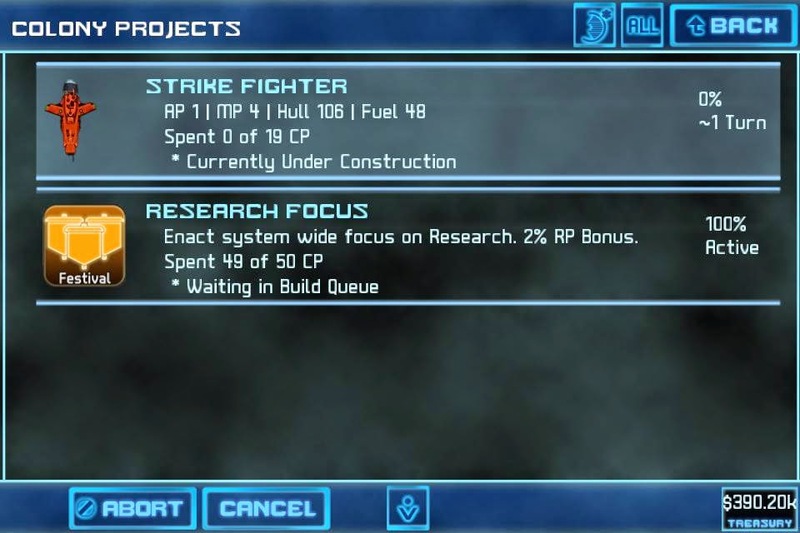 Focus modules take a long time to build, and are well suited for mature worlds with complete economies and populations. There has been a little bit of confusion about when they can be activated, so here are two images showing active and inactive, based on the Colony having other projects in the build queue.